Strengthening education by provoking fresh ideas concerning environments where creativity, curiosity, and the wonder of learning thrive. 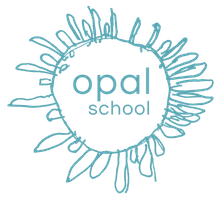 Opal School serves students in environments where creativity, curiosity and the wonder of learning thrive in order to serve professional educators who are committed to creating conditions where those qualities can thrive in their own settings. Founded in 2001, Opal School of Portland Children’s Museum is a tuition-based early childhood program and publicly-funded elementary school. Opal School’s work with 125 children in Portland, Oregon informs its professional development work with thousands of educators around the world annually both in person and online. Why Put Our Ideas Into the World? Get access to all of these amazing resources by joining Opal School Online.